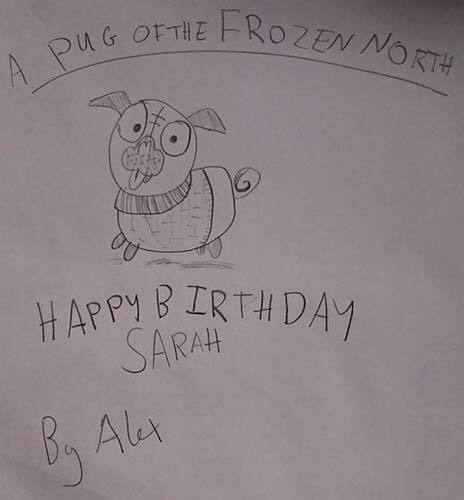 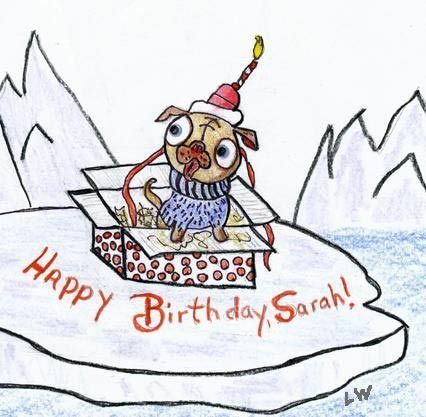 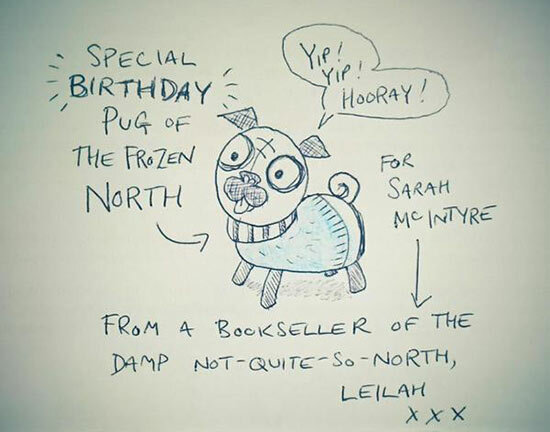 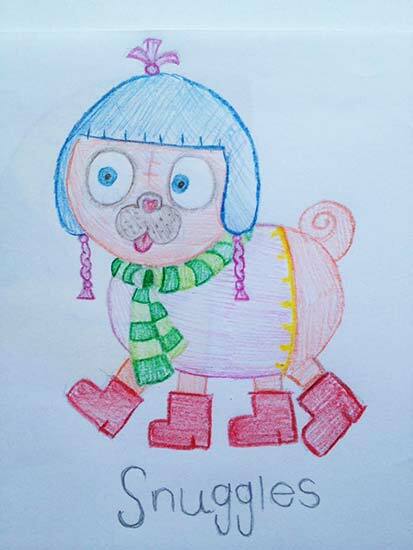 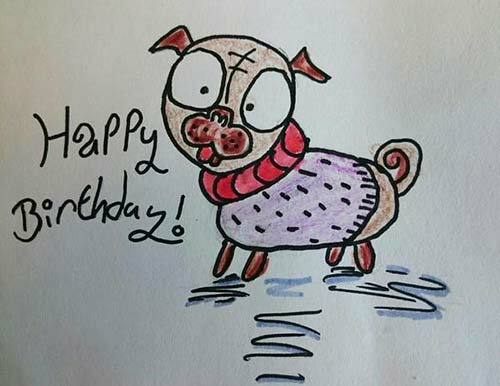 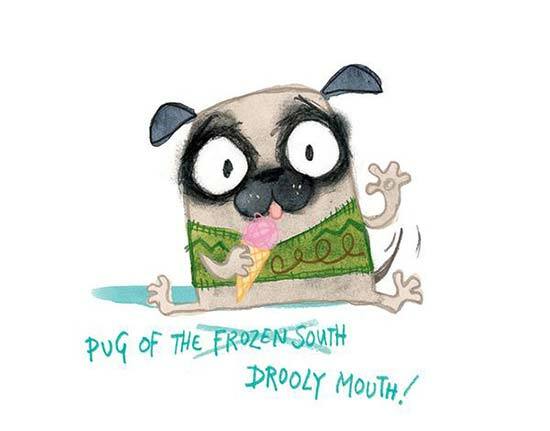 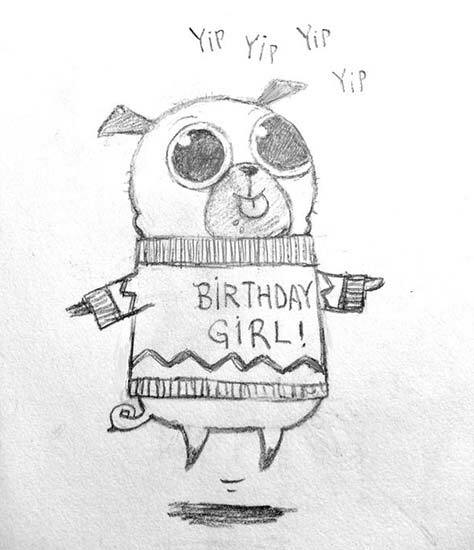 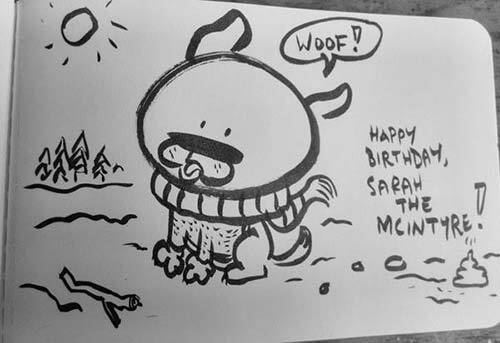 pugs of the frozen north: birthday pugs! 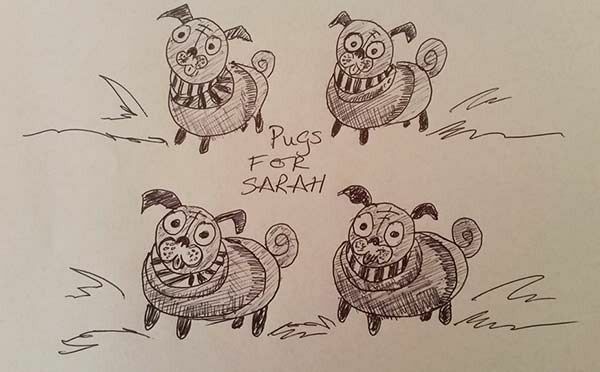 Oh my goodness, if 66 pugs make up a dog sled team, I think we have enough for two teams!! 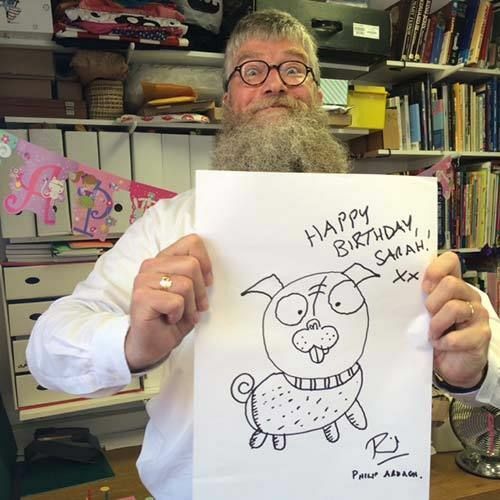 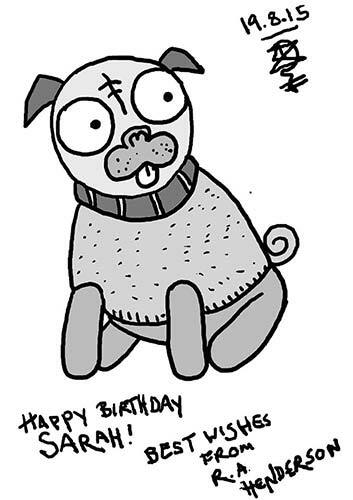 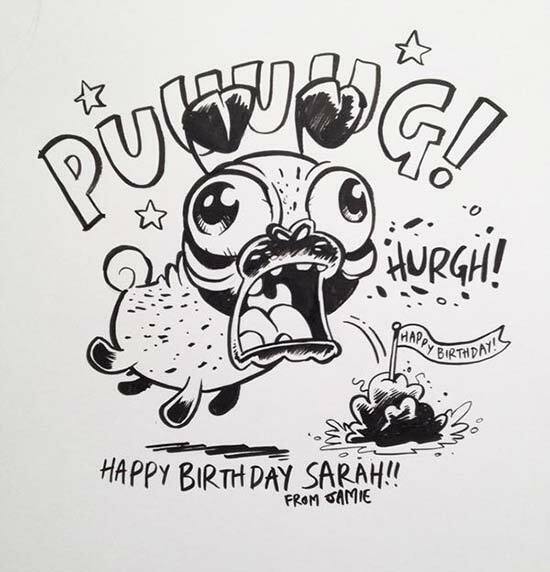 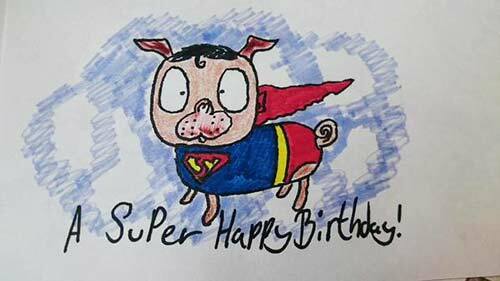 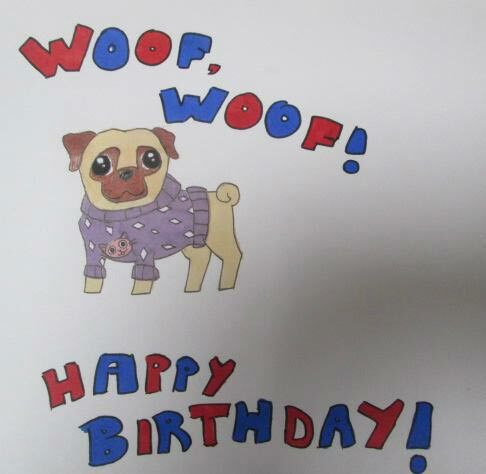 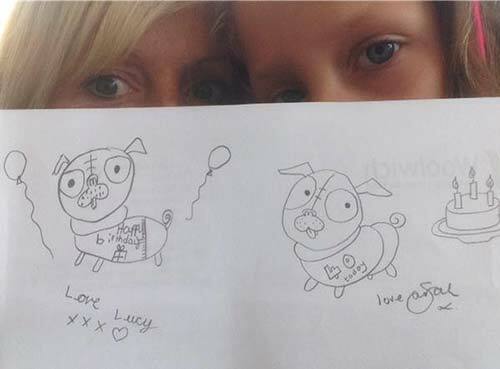 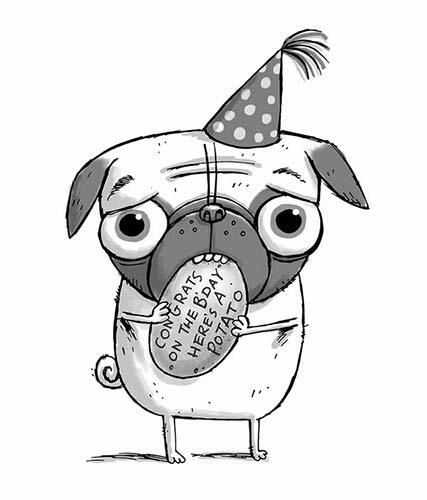 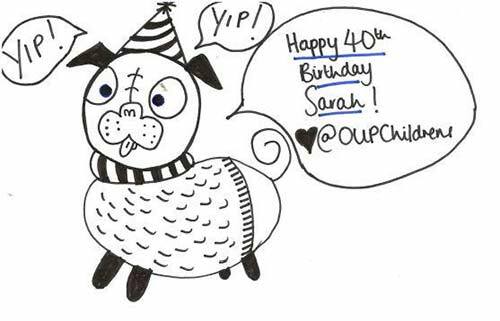 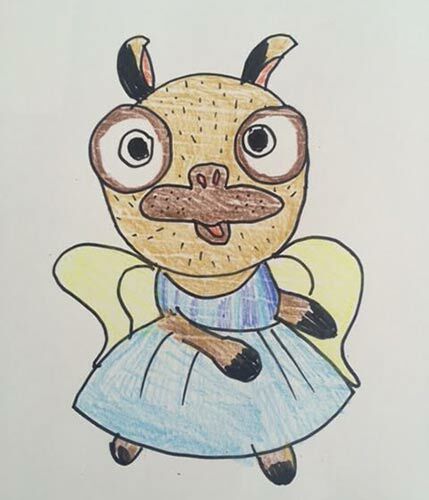 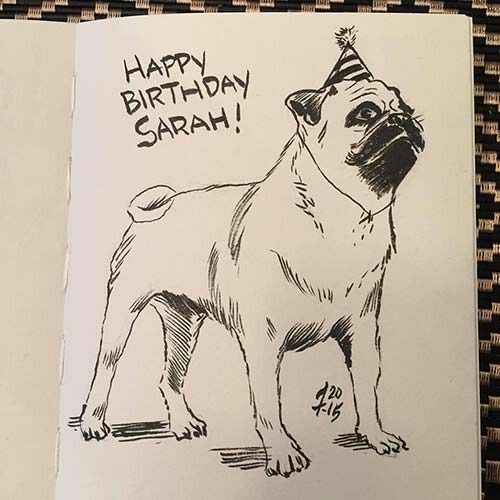 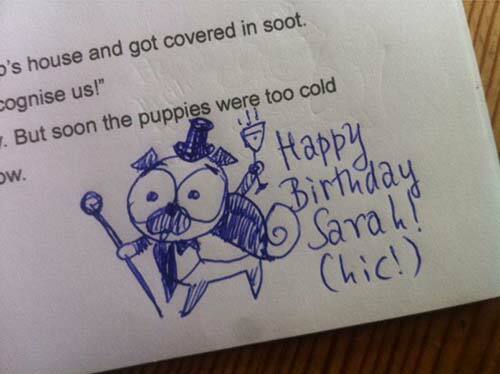 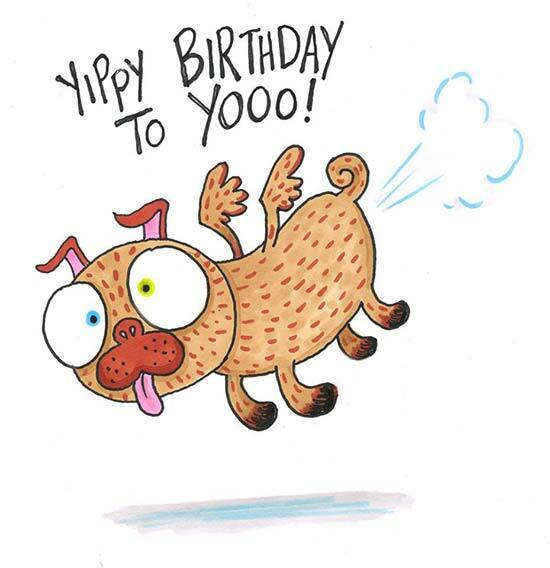 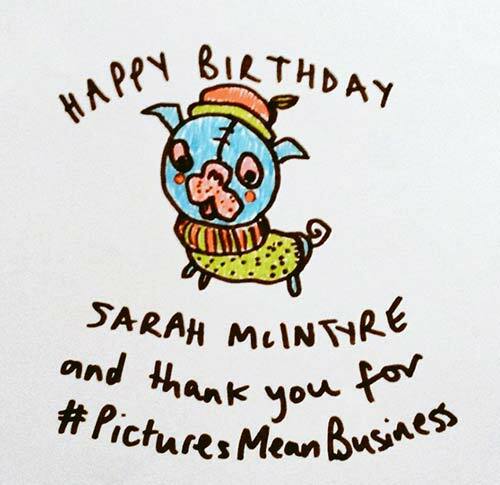 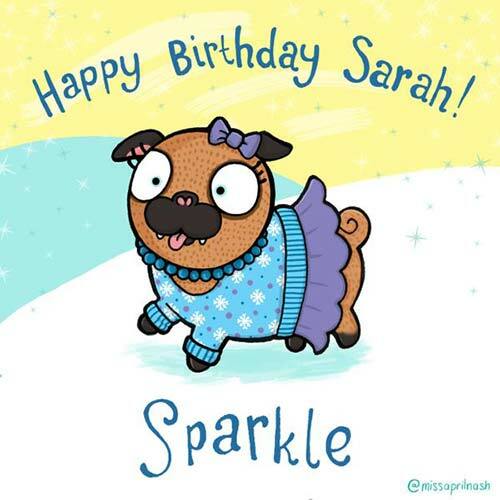 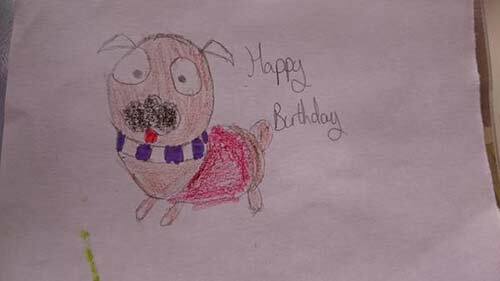 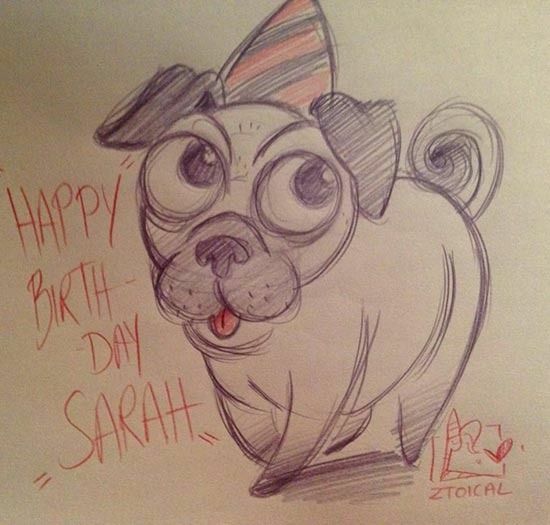 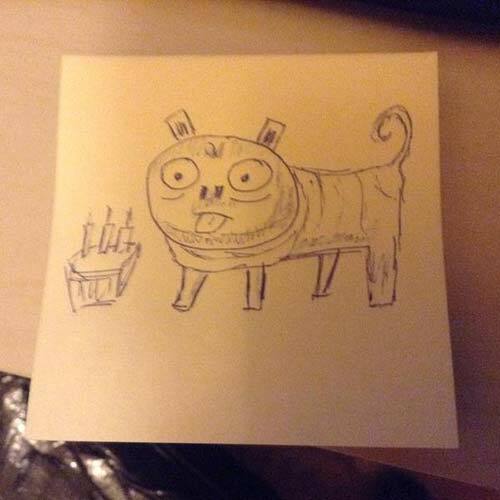 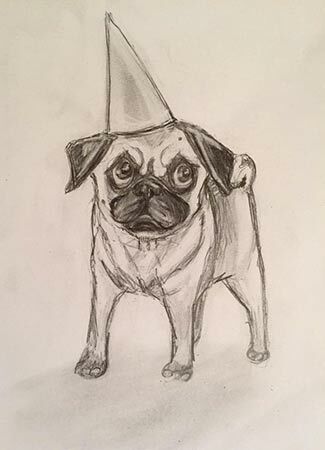 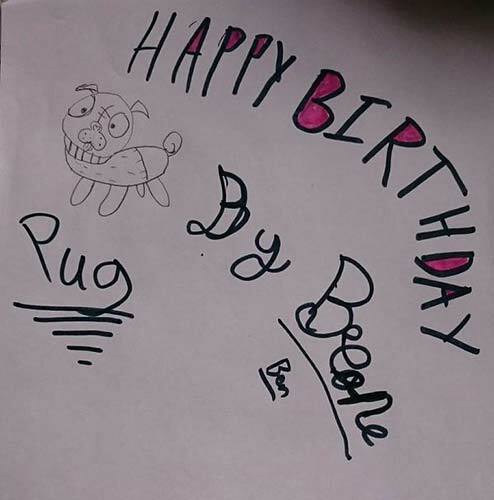 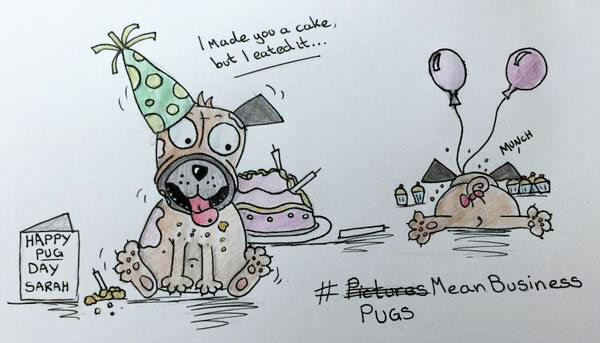 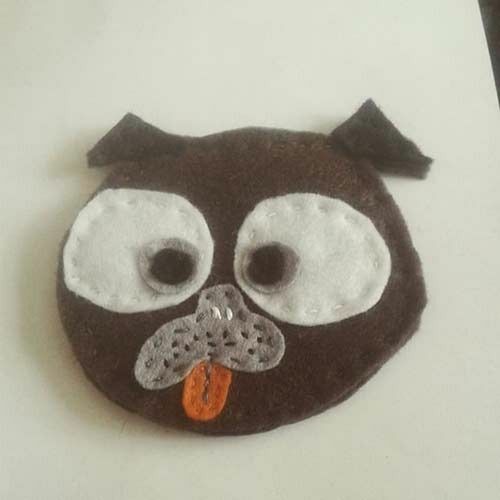 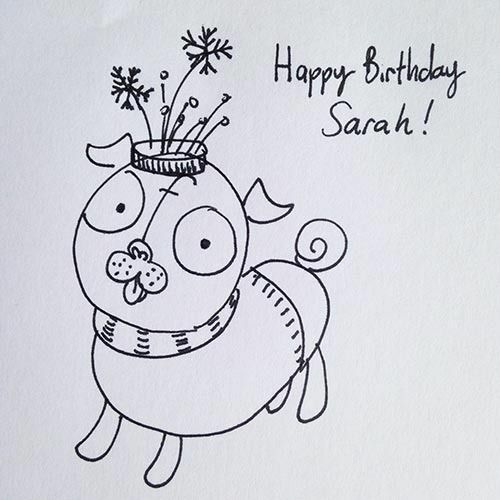 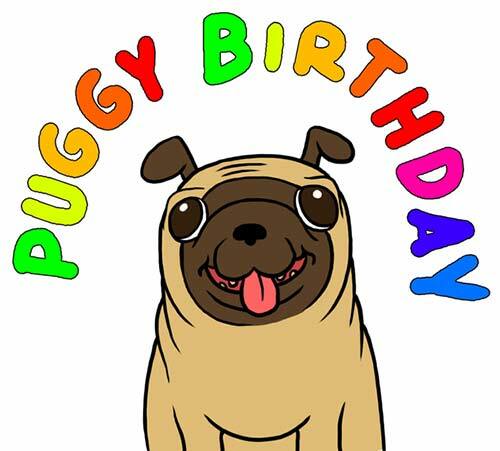 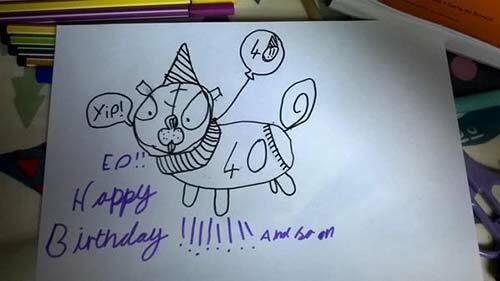 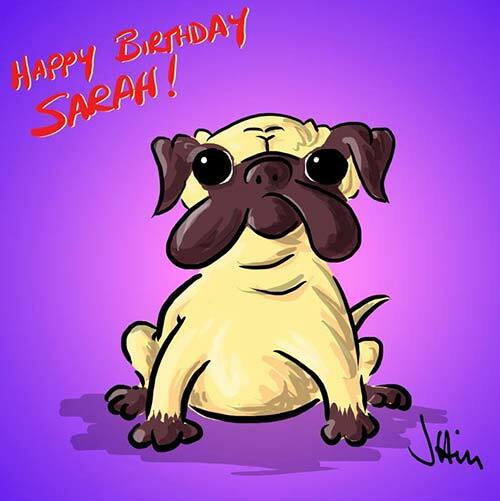 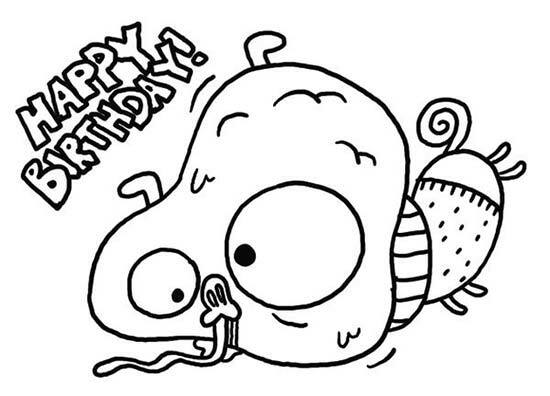 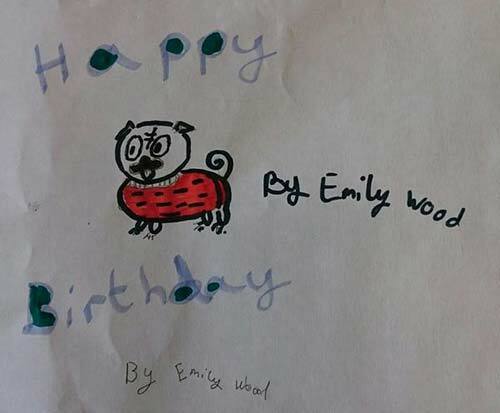 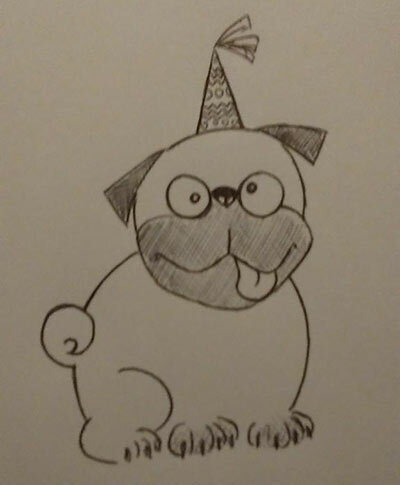 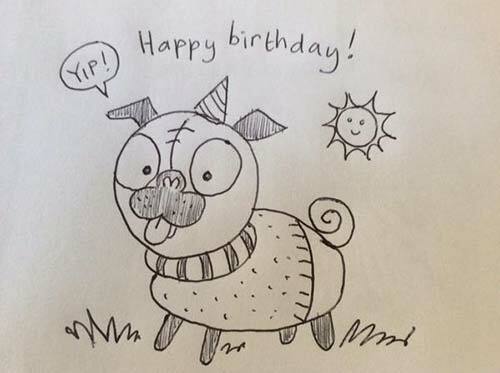 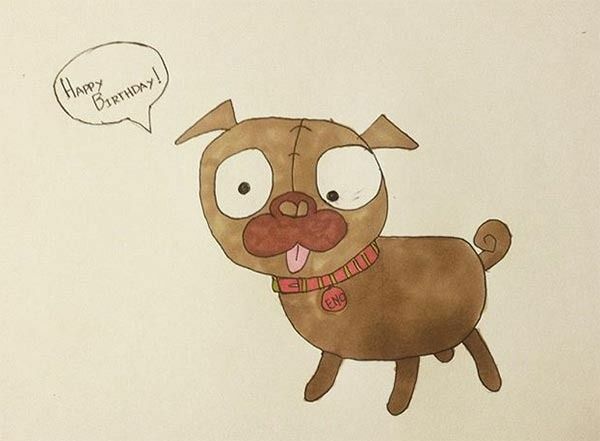 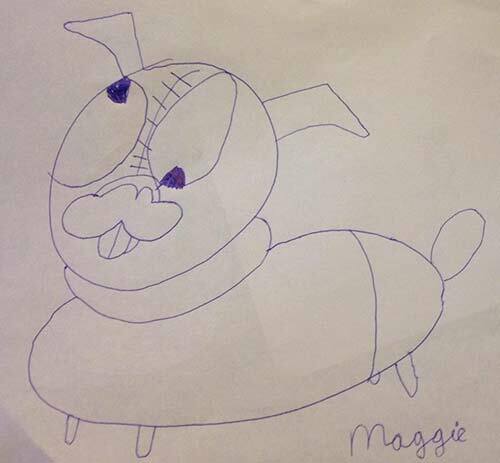 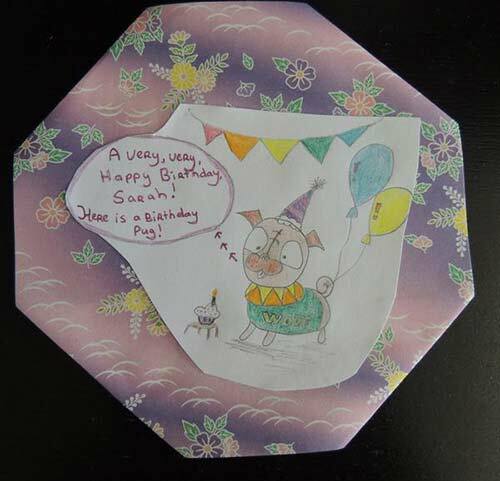 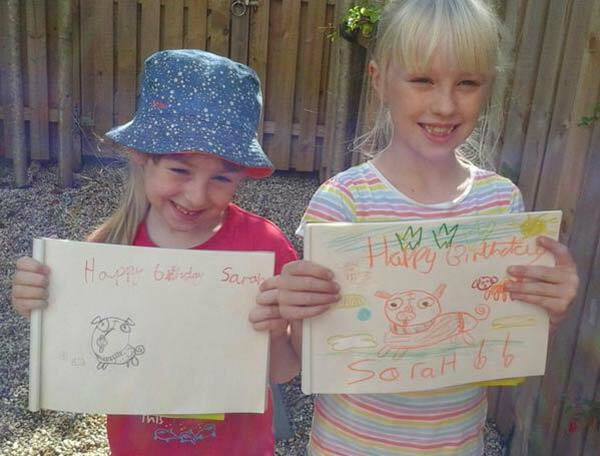 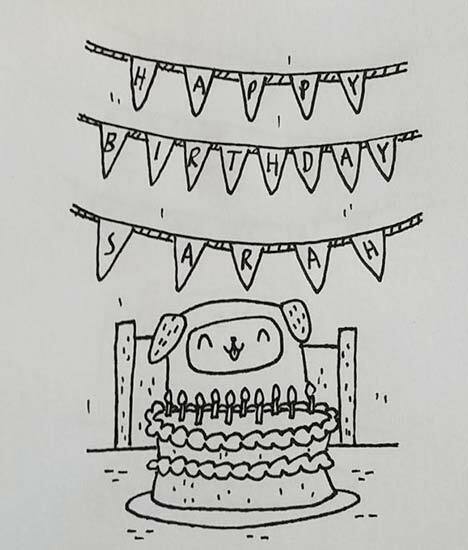 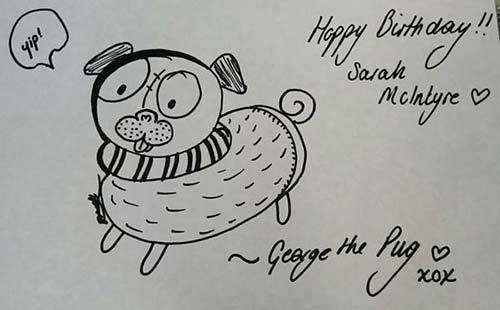 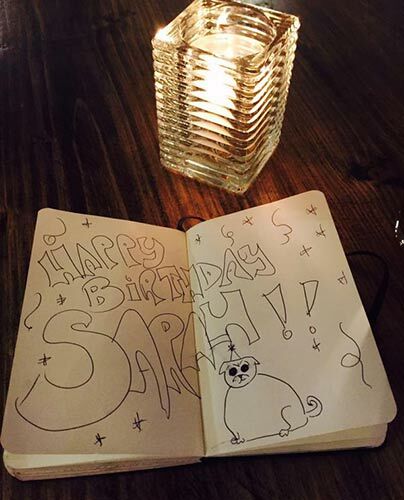 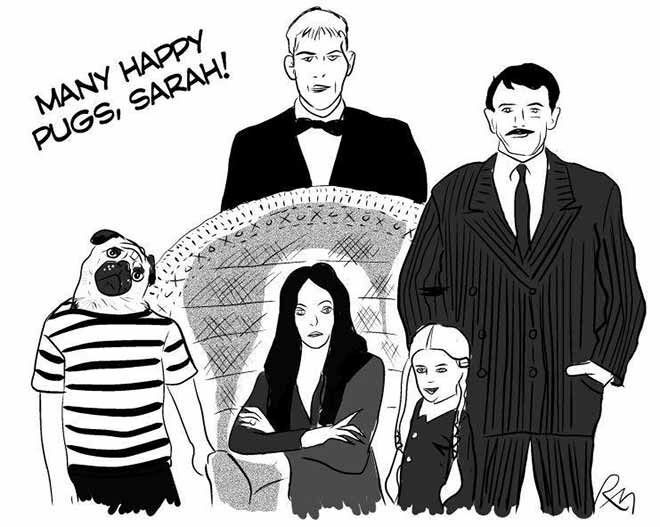 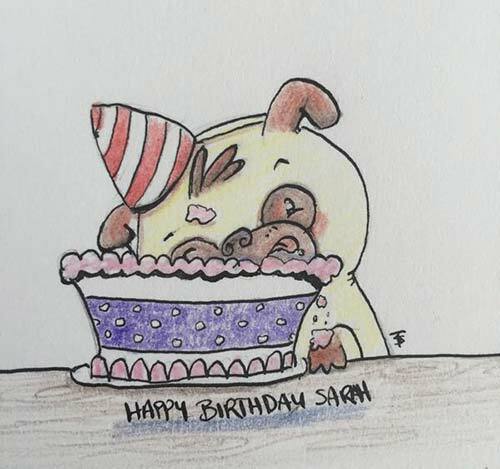 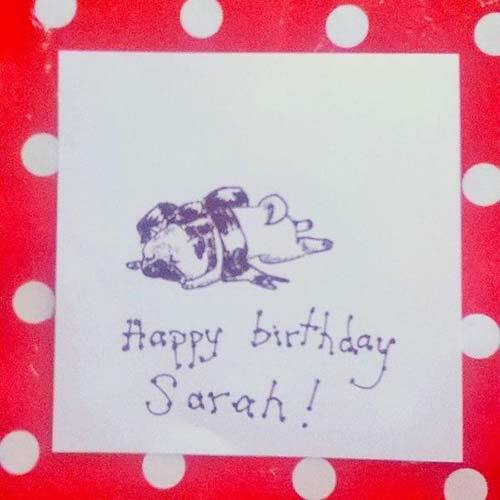 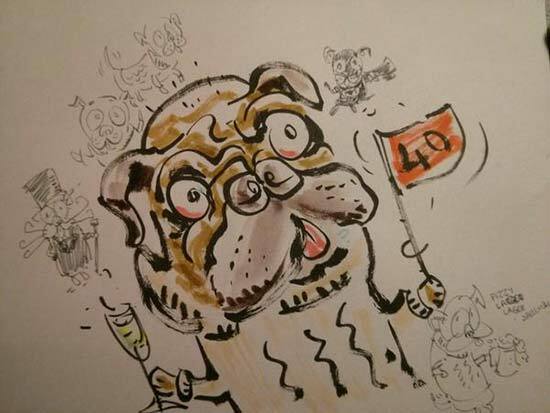 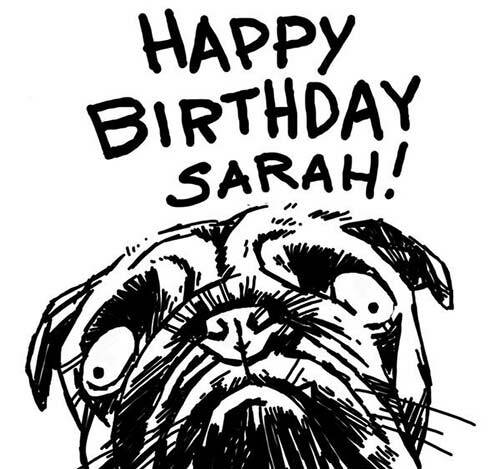 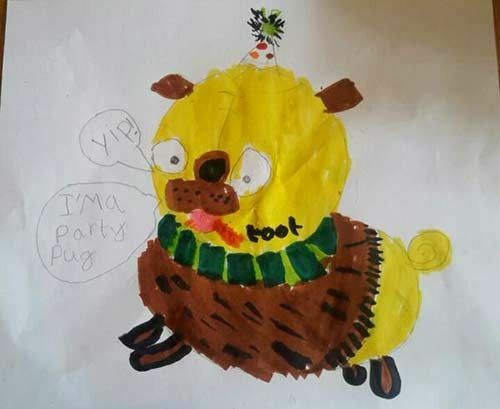 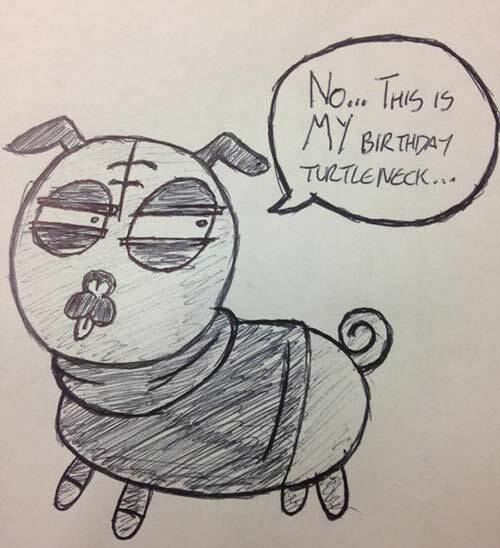 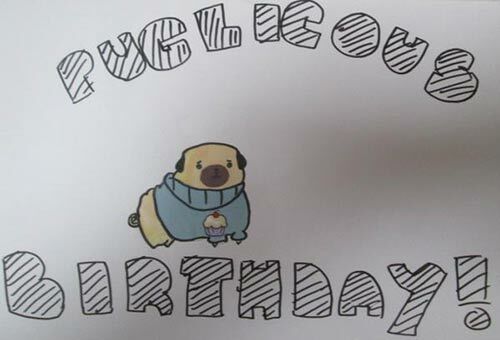 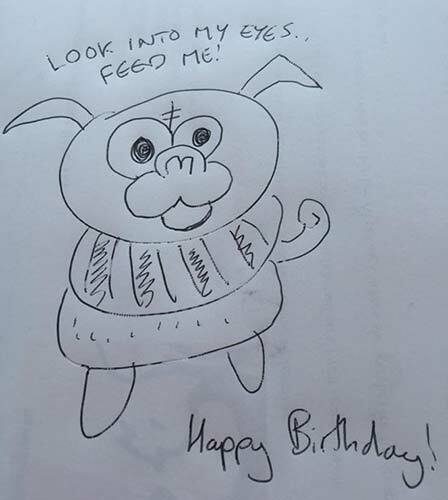 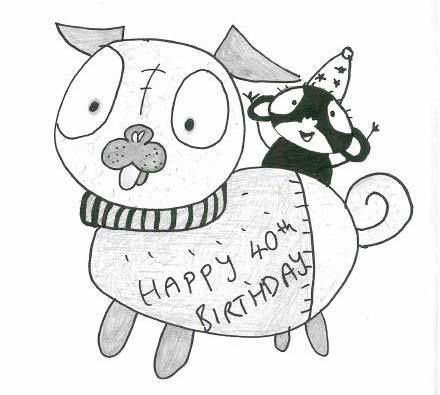 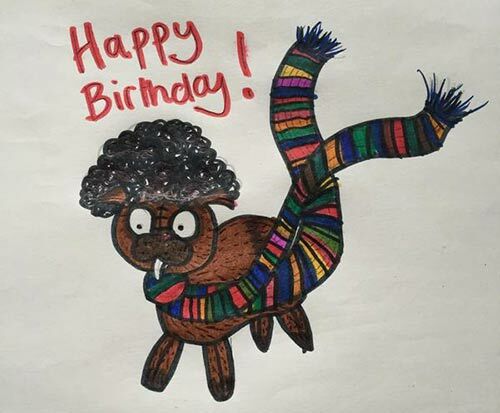 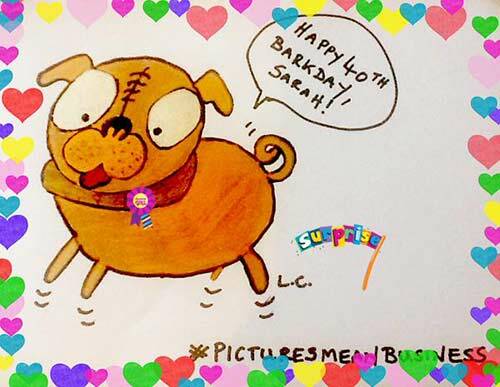 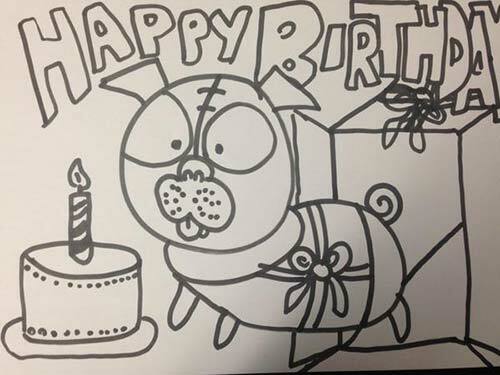 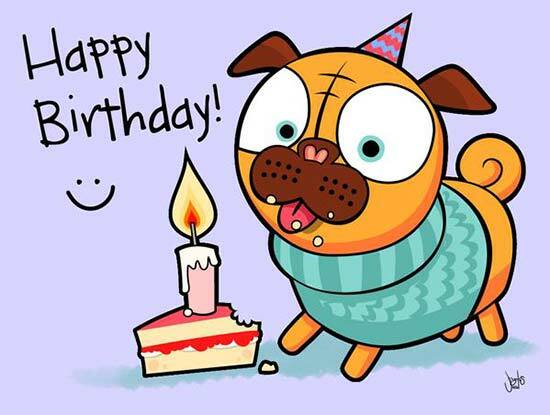 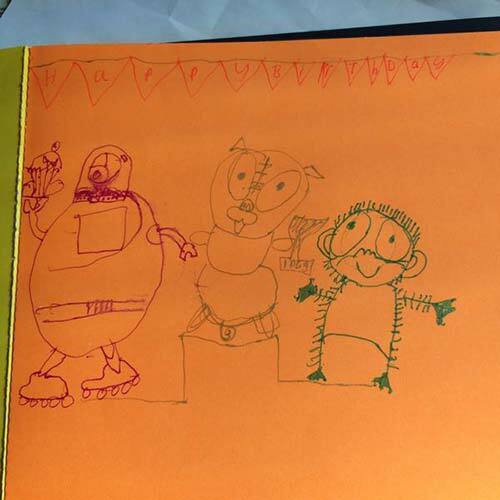 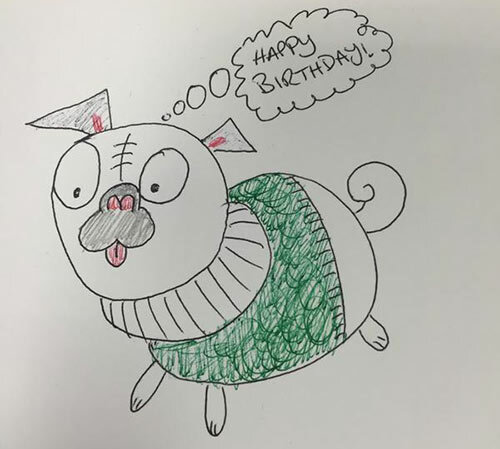 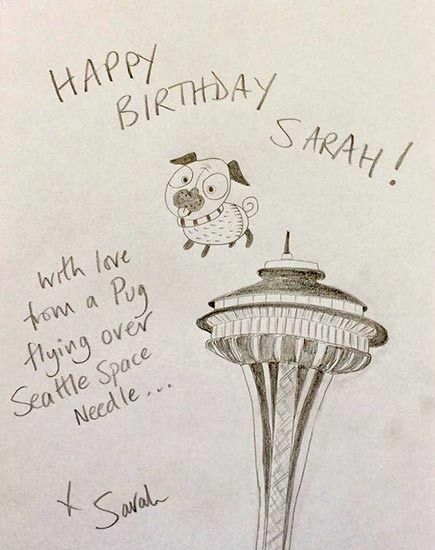 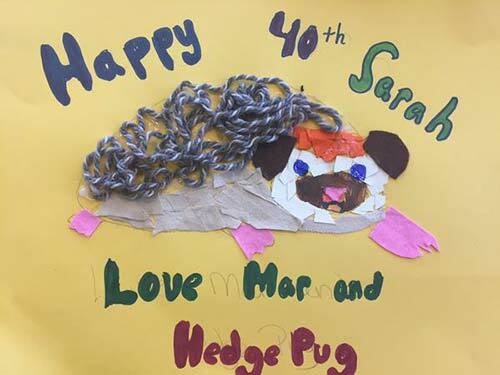 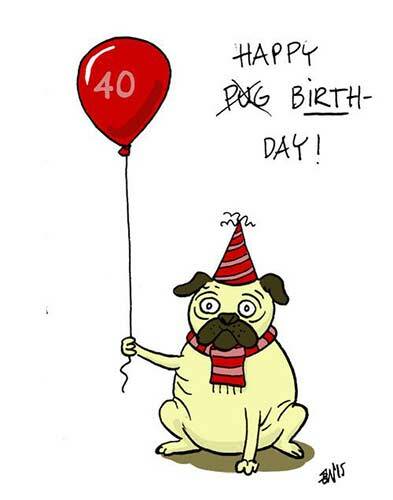 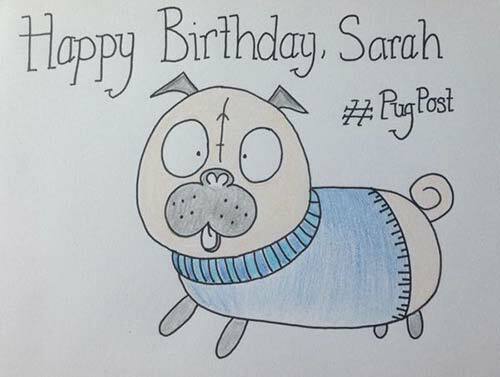 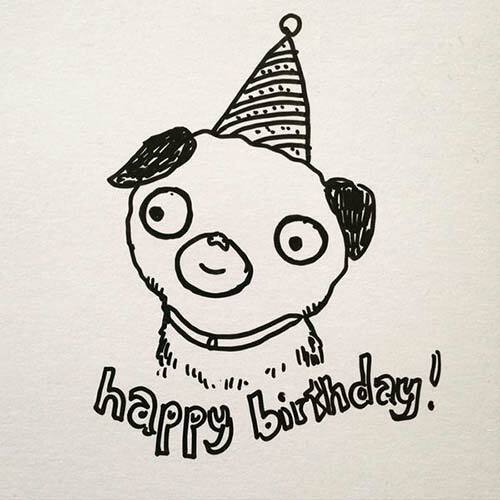 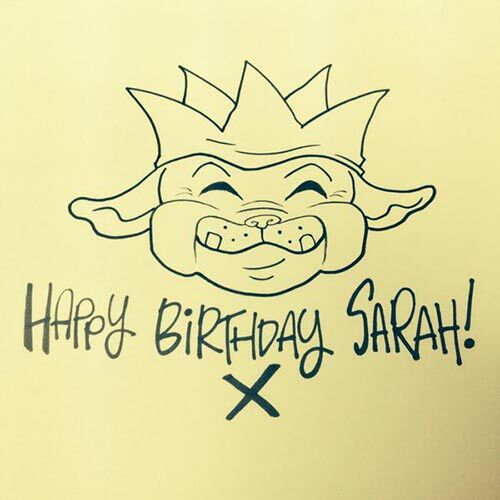 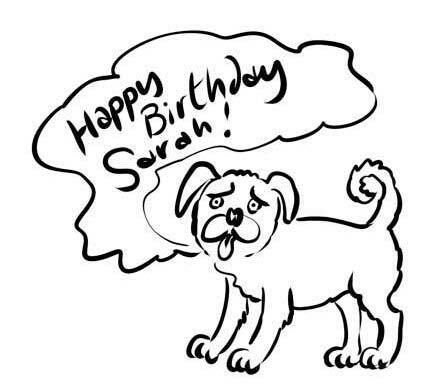 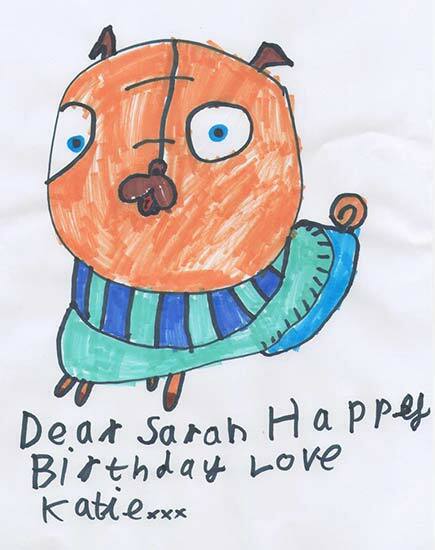 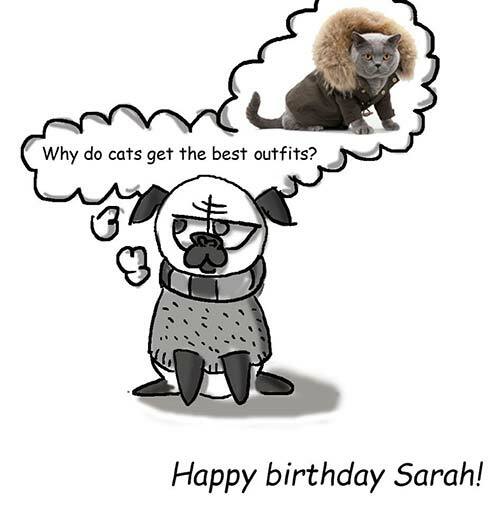 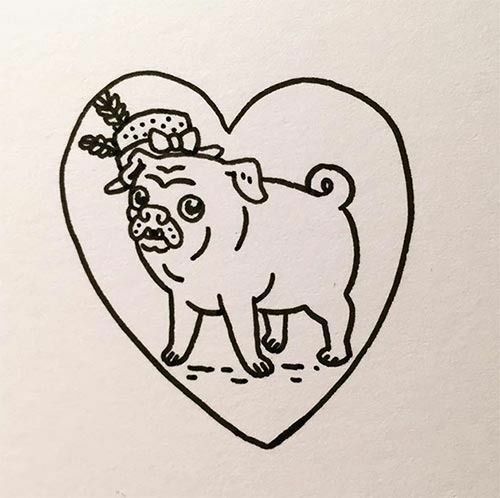 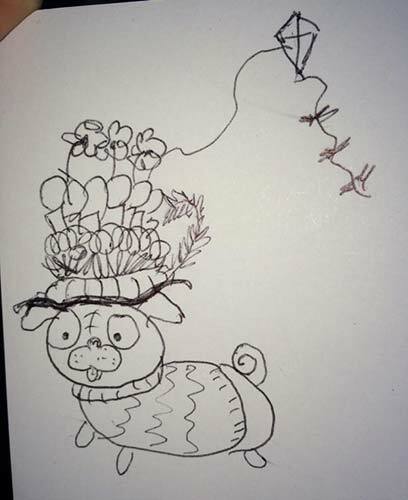 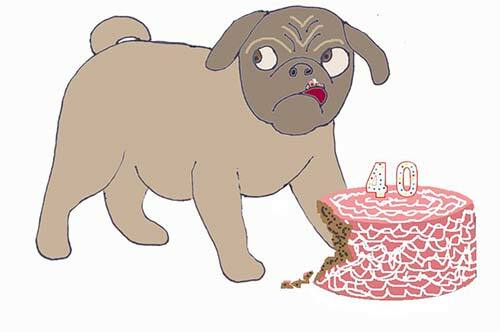 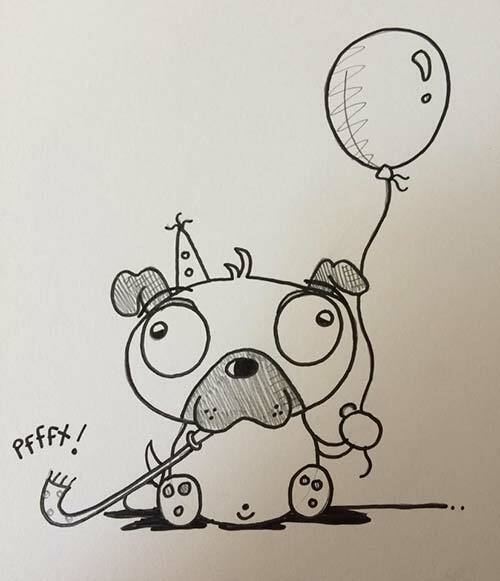 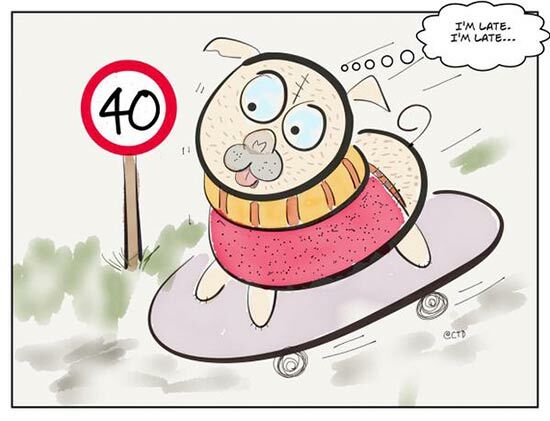 Huge thanks to everyone who took the Birthday Pug challenge! 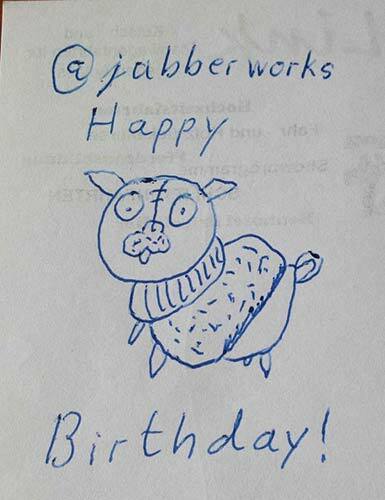 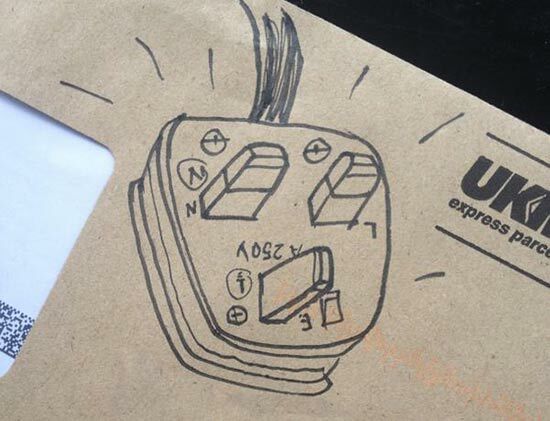 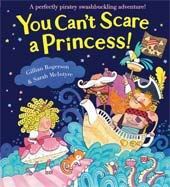 (See previous post for details.) 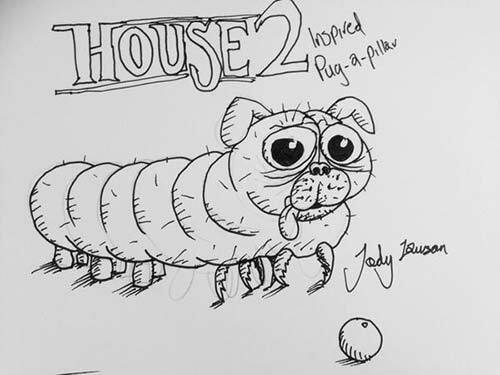 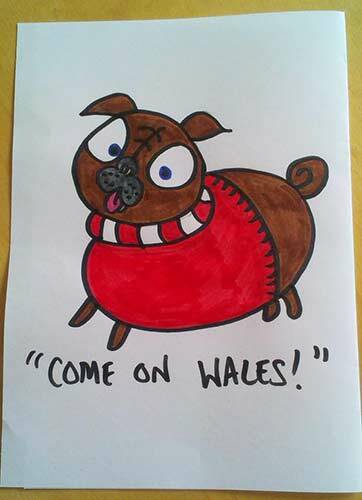 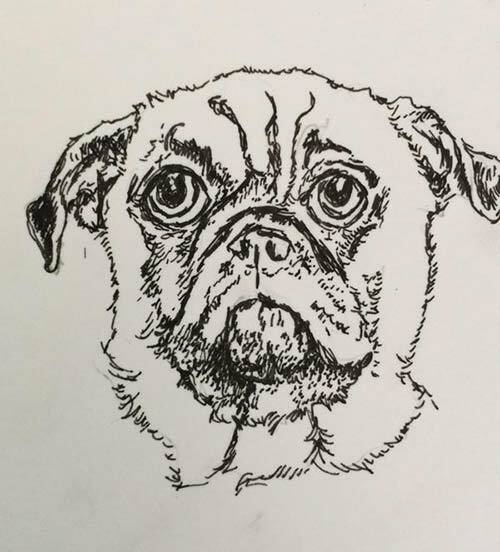 I tried to include everyone's; huge apologies if I accidentally left out your pug! 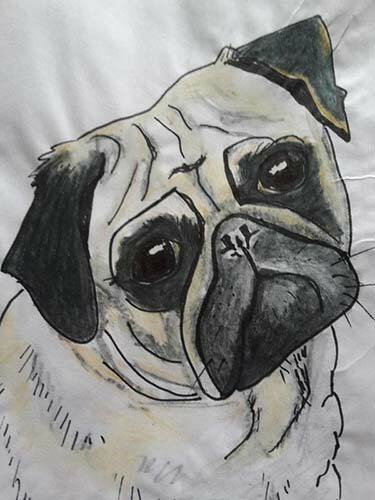 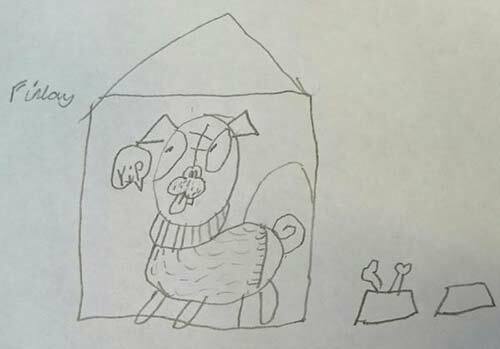 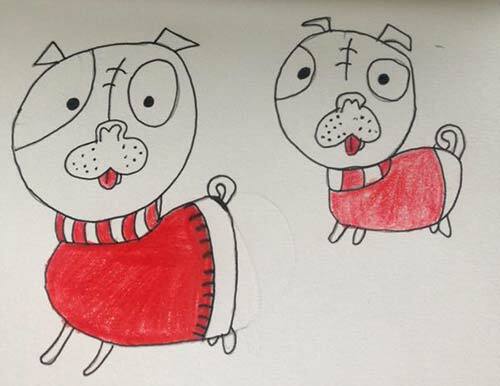 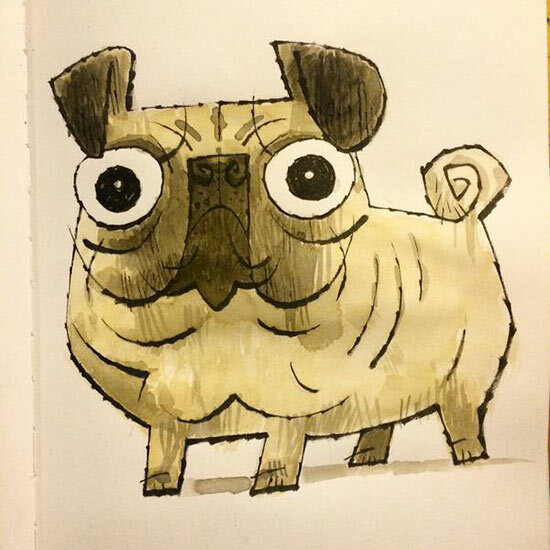 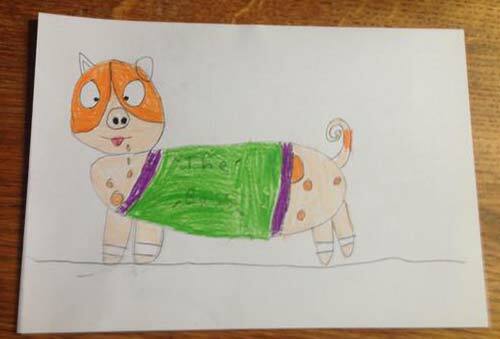 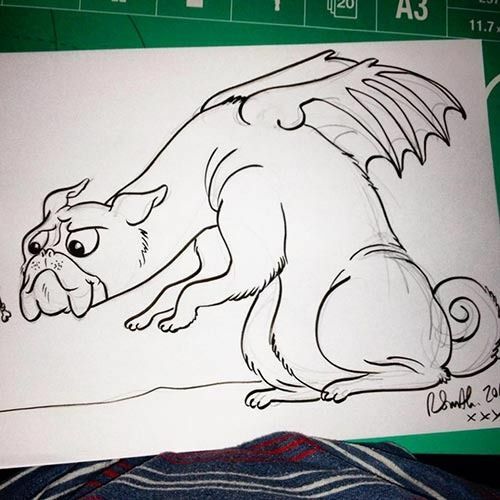 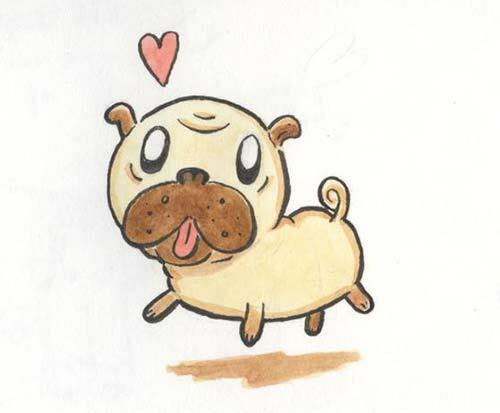 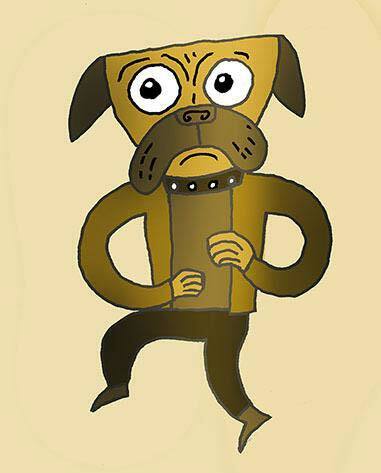 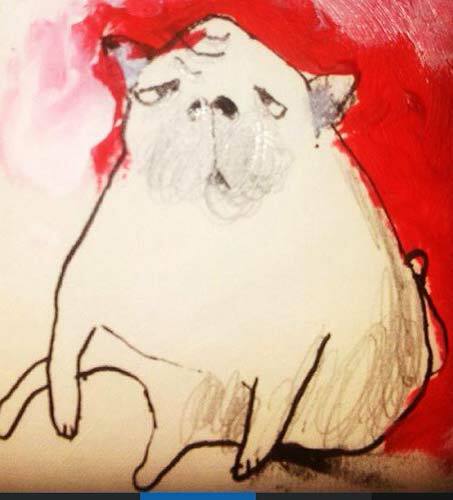 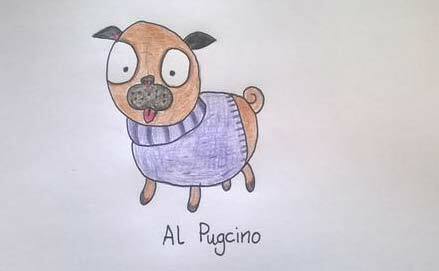 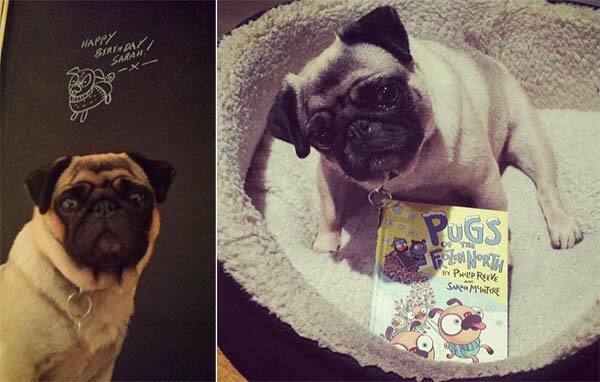 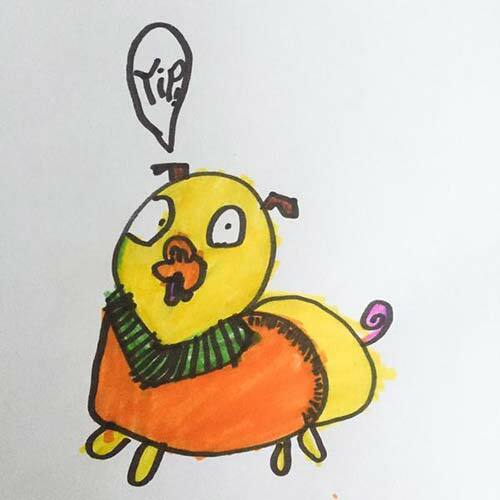 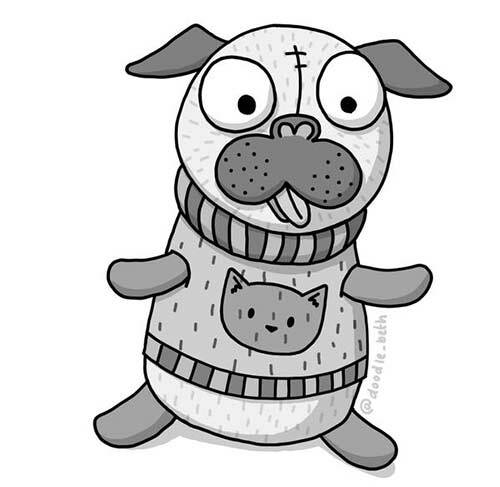 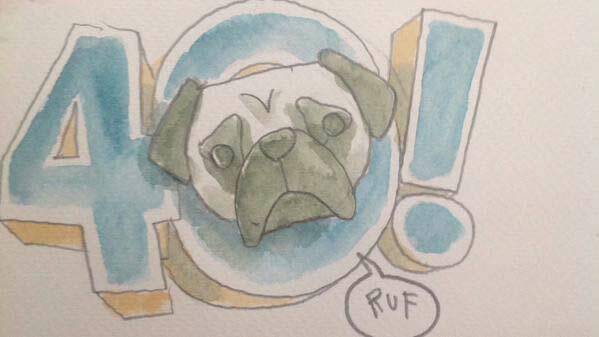 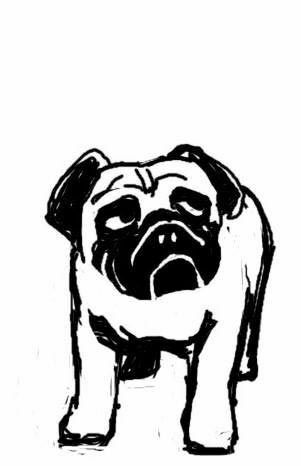 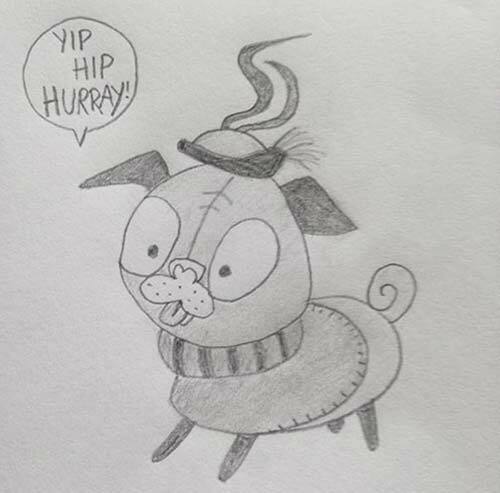 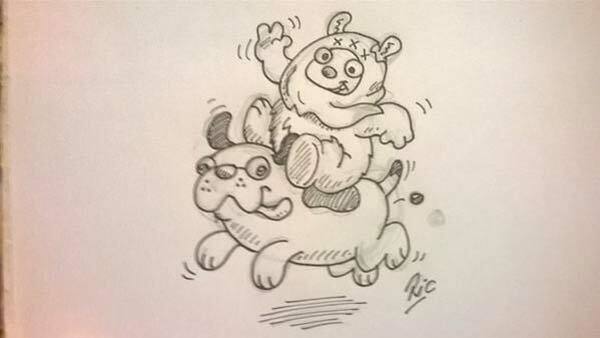 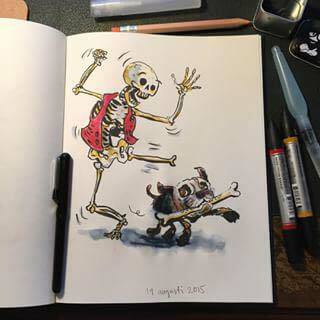 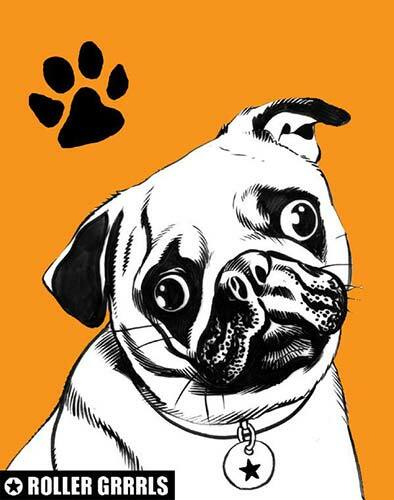 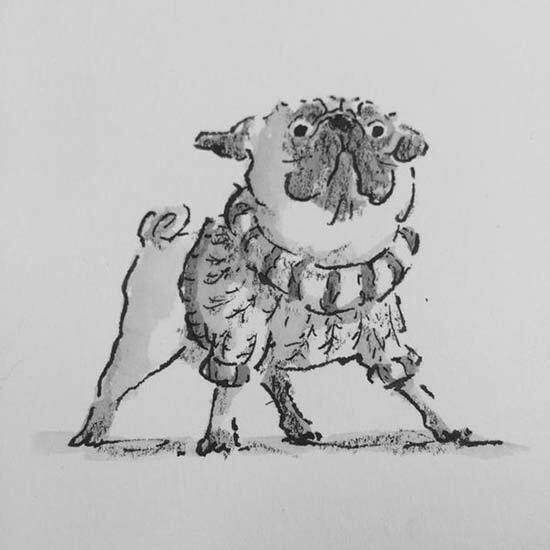 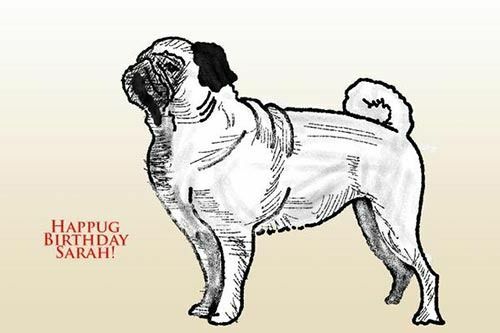 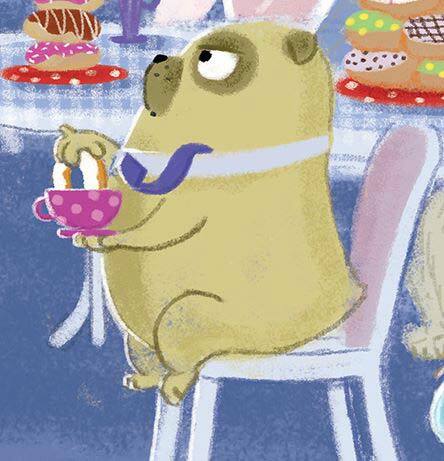 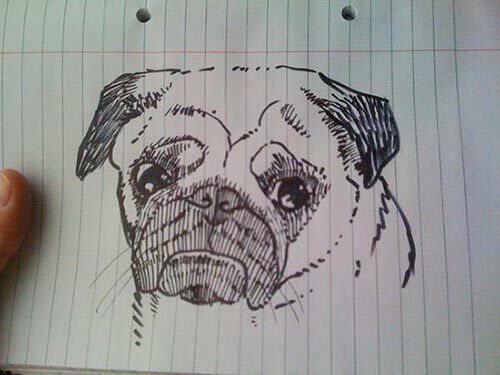 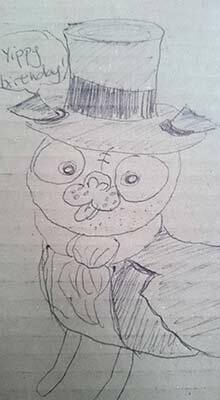 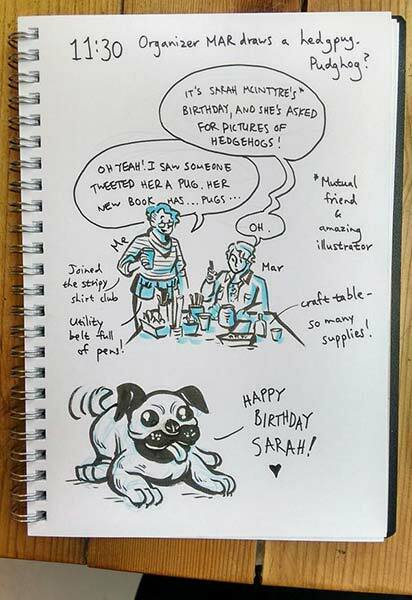 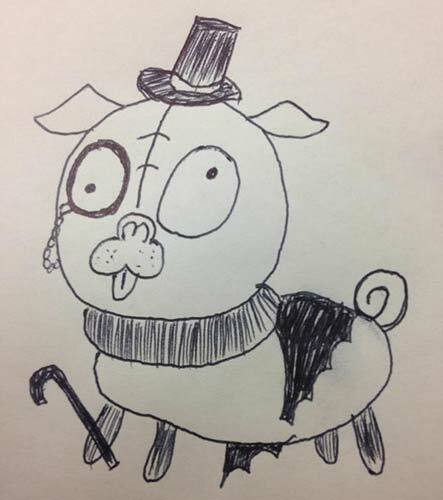 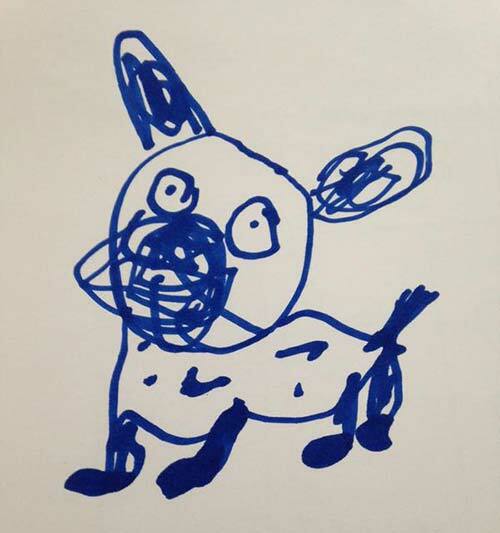 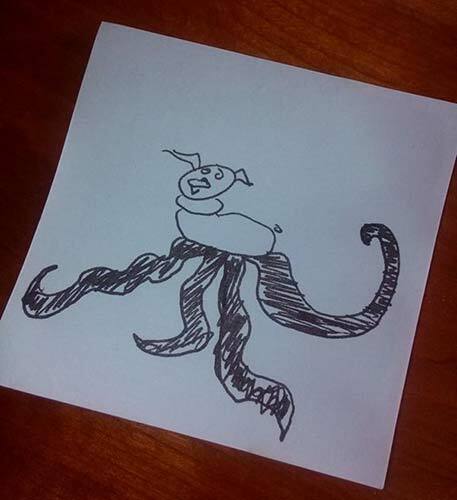 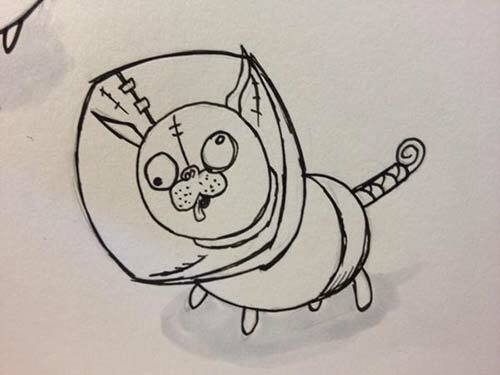 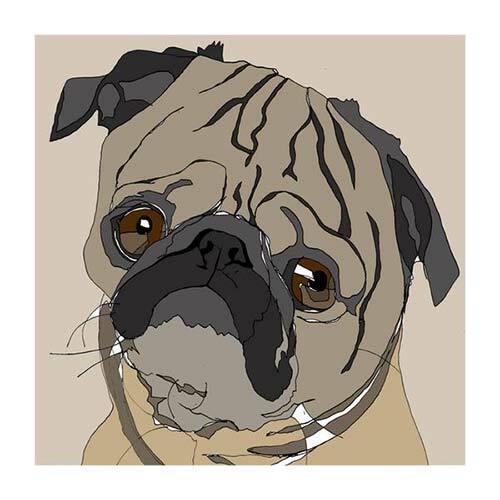 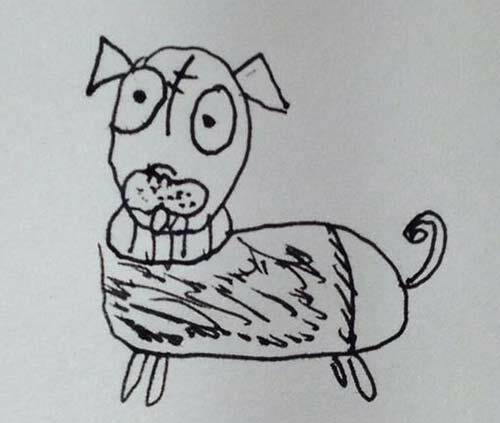 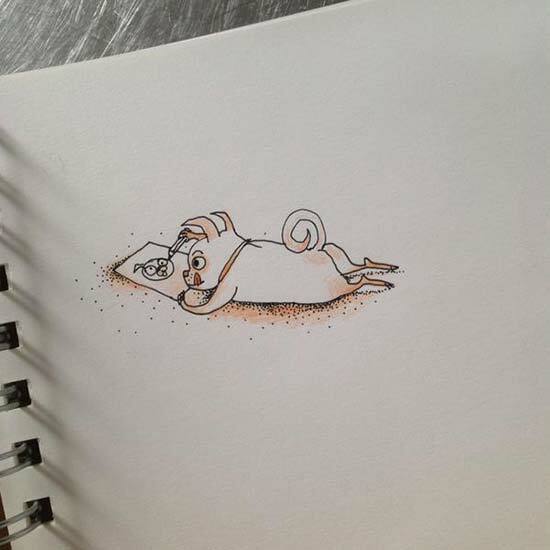 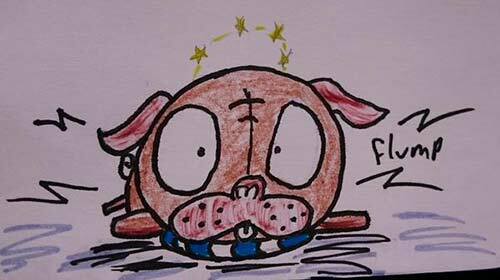 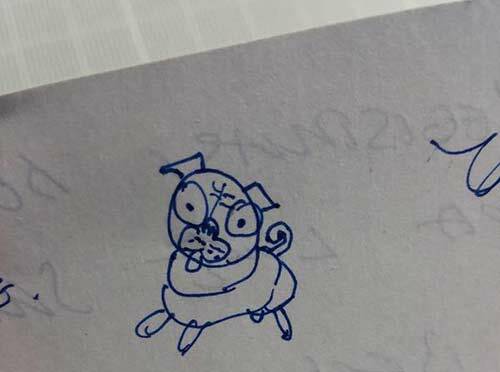 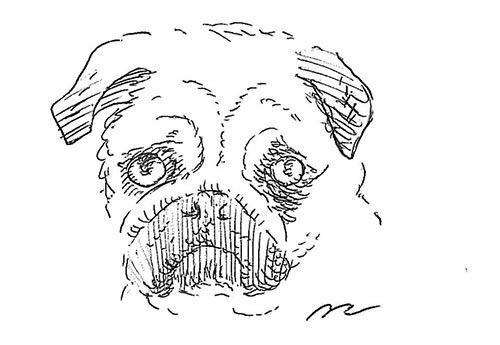 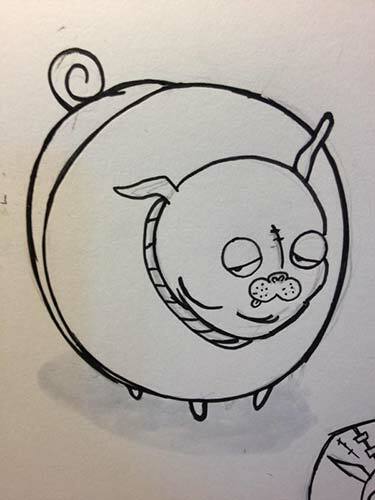 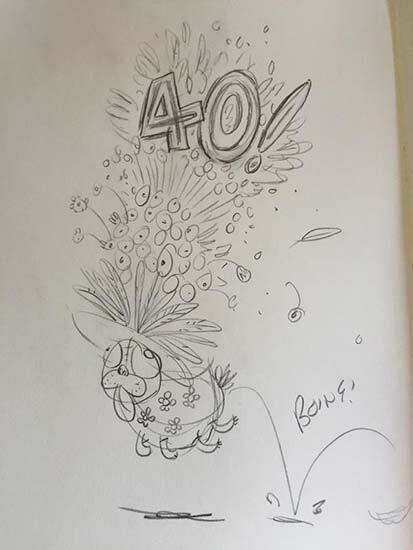 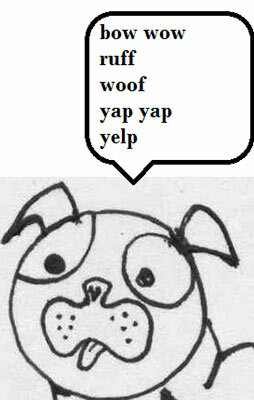 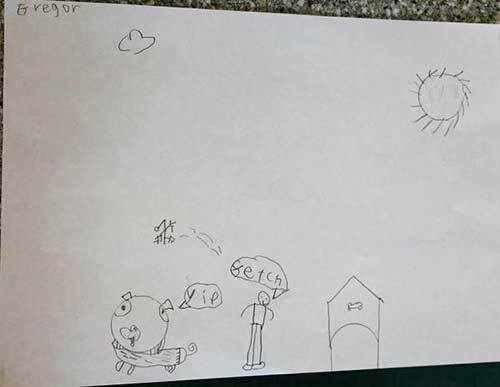 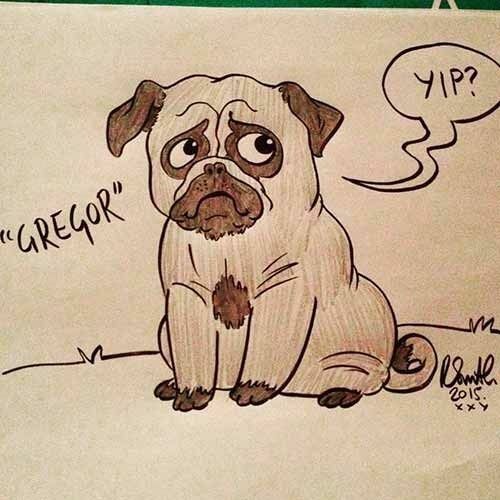 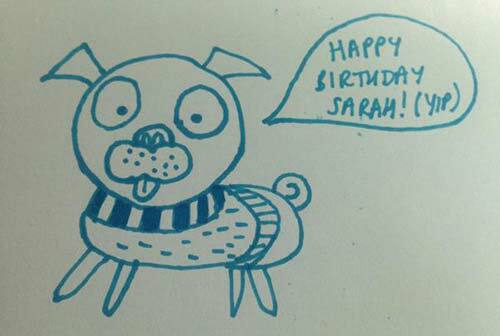 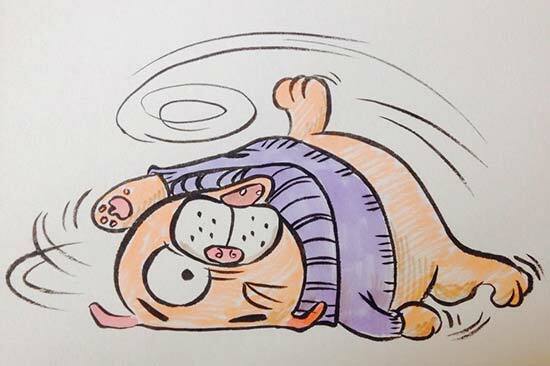 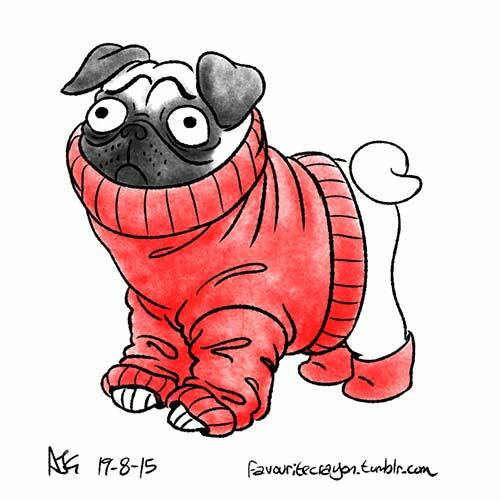 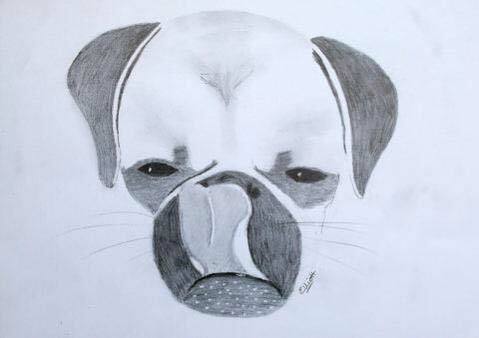 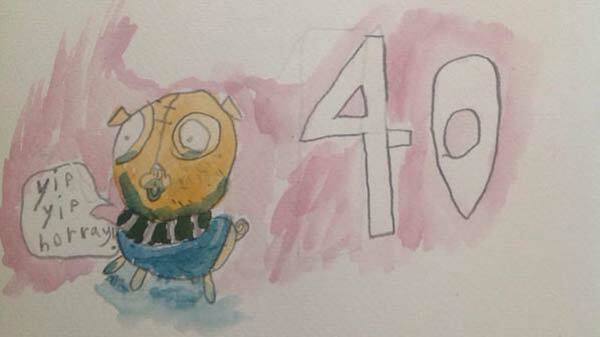 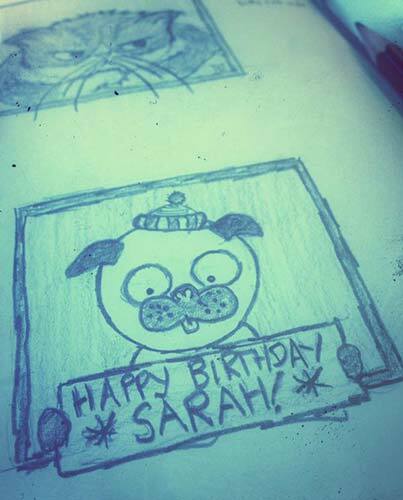 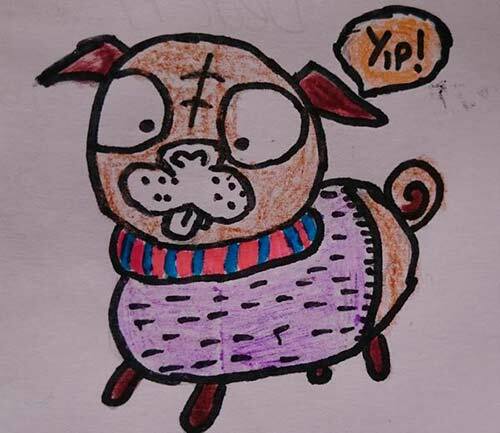 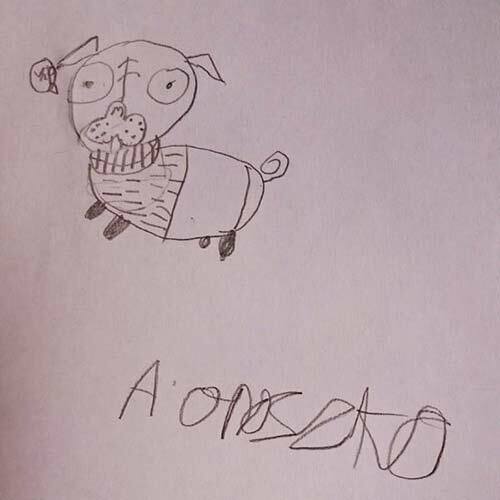 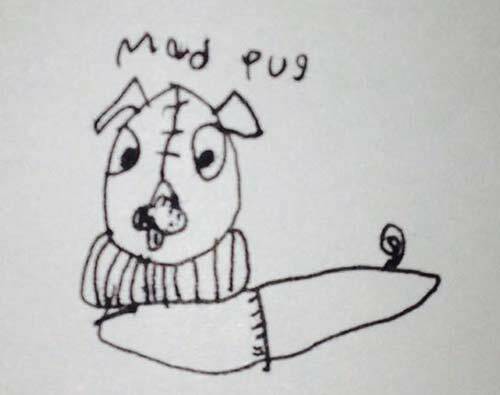 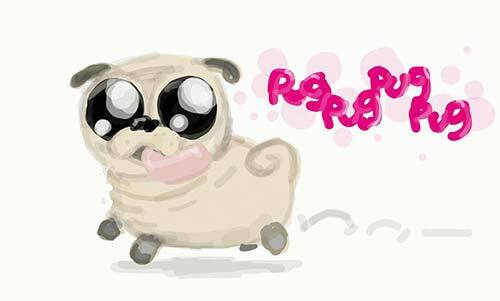 Philip Ardah drew his pug right there in my studio.